Lovett Sales & Lettings has been managing privately owned property successfully for almost two decades and has brought energy and innovation to a once downbeat, but now booming rental sector. Letting a property is a serious business, whether you are an experienced landlord or simply a private individual considering offering your property to rent for the first time. History suggests that over the longer term residential property is one of the safest and better performing investments; not only providing regular income, but producing significant capital gain. Letting requires careful planning and a professional agent who will look after your interests by managing your property correctly. 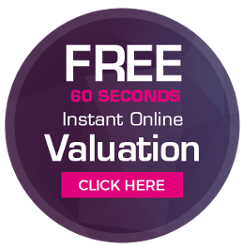 We recognise your property represents a significant investment and therefore we are committed to use our experience and knowledge to keep your investment safe whilst at the same time providing you with a regular income. Our prominent town centre offices are open seven days a week to help prospective tenants find their ideal home with trained staff and courtesy cars at the ready to show your property. But even out of hours your property will be seen by thousands via the wonder of the internet. With the majority of all new rental enquiries now being received online it is important your property receives the very best exposure courtesy of Rightmove, OnTheMarket and of course our own website. We hope this guide will give valuable insight into services provided by our Property Management team and illustrate why Lovett Sales and Lettings are just that little bit different – after all not all letting agents are the same. Letting a property is a serious business, and requires careful planning and a professional agent who will look after your interests by managing your property correctly. We recognise your property represents a significant investment and therefore we are committed to use our experience and knowledge to keep your investment safe whilst at the same time providing you with a regular income. Below are the standard packages we offer our landlord clients (all subject to vat). The following page lists any additional services that you may want or require.